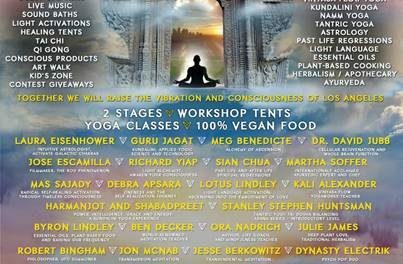 Yoga Connects Festival launched in 2015 with a boom! 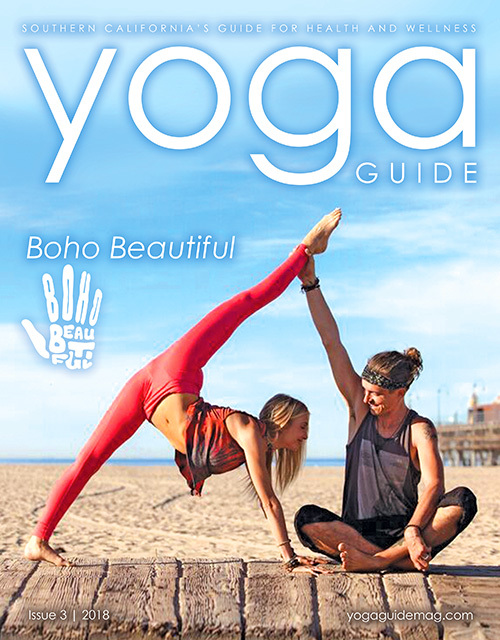 After successfully launching their first ever Yoga Connects festival they were voted one of the best 20 yoga festivals in the world by Cody App. 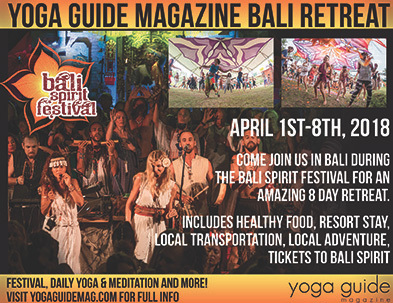 The festival is all about Celebration, Transformation and Connection. They aim to cause happiness on the Planet. The festival has teamed up with renowned local and globlal teachers to bring their fun and eclectic styles to the mix with an awesome music line up to match. Yoga isn’t the only thing to get your heart pumping and your adrenaline going, they have Shamanic ceremonies, Capoeira, dancing, drumming and raving. For the more adventurous yogi who likes a challenge, they offer Ariel Yoga, Circus Silks and Acro Yoga. Fancy something a little more relaxing? 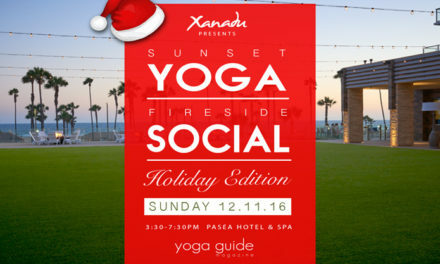 The festival provides Yin Yoga, meditation, gong baths, hot tubs and spa & massage facilities, so you can put your feet up and wind down. No weekend is complete without a little retail therapy so the festival has invited some fashion and jewellery designers to come and set up shop and inspire at the festival. 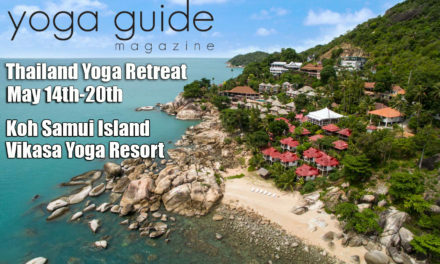 Yoga Connects is all about giving back to Mother Earth so they worked hard to make it a NO PLASTIC ZONE, rounding up some outstanding inspirational speakers to talk about forward-thinking sustainable solutions. To see you through all these fun activities you’re going to need some serious fuel, that’s why they provide delicious food with the best Veggie and Vegan stalls around to tantalise your taste buds and keep you going all weekend! So if you want to indulge your wild spirit and experience a different holistic approach to a festival weekender, the Connection Tribe will be ready and waiting to inspire and celebrate with you. Come get lost. Come get connected. Children under 12 years old are welcome free of charge. The festival has interactive games, workshops, kids yoga and facepainting awaiting for the little ones to keep them busy. Using interactive games and animated postures, children will learn about animals and nature through yoga, movement, games, arts and crafts: Wild Spirits we will keep them entertained. 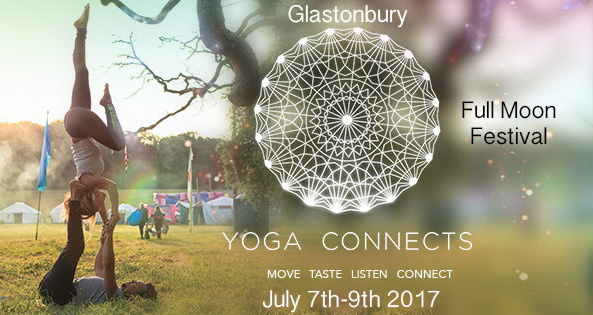 Yoga Connects is designed to be a completely new kind of festival. Woven within it’s fabric are tribal values which enhance the experience. We look to ancient cultures across the planet and refer back to our universal Shamanic roots. We all came from Shamanic tribes. Small communities looked to Nature as teacher and the Divine. The earth was Mother, the sky was Father and all creatures were sentient. Life was breathing with us and we lived as part of a web of connection to all beings, seen and unseen. Opening with a Shamanic Ceremony, everyone drinks cacao together to open our hearts, then speak prayers to the land that the festival is held on. The land as mother is sacred and we honour her. 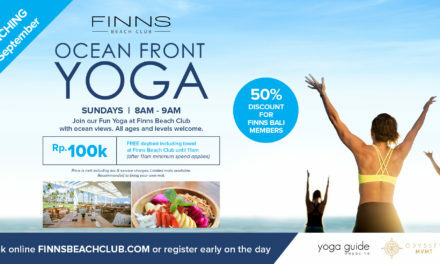 Yoga Connects Festival honours the planet, the animals and the people. In the ceremony people dance a trance dance to bring everyone together, to celebrate life, to honour our beautiful planet. The festival is Veggie and Vegan to be sustainable and honour the animals. There will include Indigenous speakers and Shamanic methods of uniting communities. The festival ethos is: We are One. The threads that bind us are woven throughout the festival: meditative sound scapes to digereedoo, crystal singing bowls and gong baths. The beat of the drum. Dance. Prayer. Speakers who work in ritual will bring their knowledge of Tantra and plant medicine. The festival bring sustainability as a value and leave the land as everyone arrived; pristine! Yoga Connects Festival is declared a Plastic Free Zone because plastic does not degrade and go back to the land. 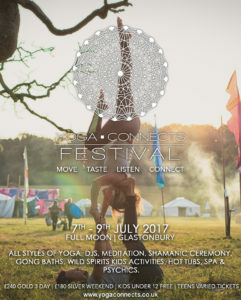 Yoga Connects believes sustainability is crucial to the future of our planet and so as a legacy have set Yoga Connects Festival up to set high standards in the way festivals operate. A good example. A role model. The entire festival is a ritual from beginning to end and they send out high vibrations to our sisters and brothers across the world.